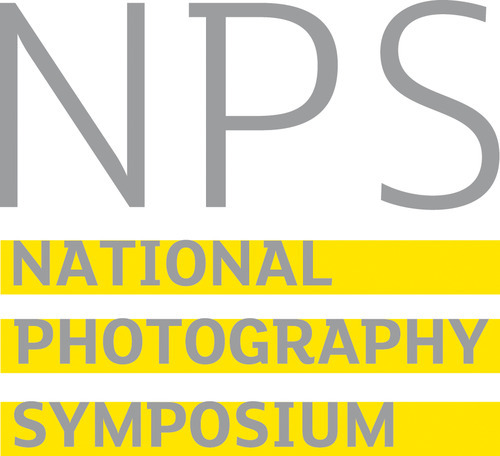 Submit your questions to Photography Question TIme via Twitter with the hashtag #NPSQT. All sessions happen at Somerset House unless stated. Updated 19.4.12. This is the final programme but please bear in mind there might be small changes. 13:00 onwards: registration in Portico Room / Photographer’s Lounge, Somerset House. 14:00: Copyright discussion. This session, led by photographer David Hoffman, aims to be a frank exchange of thoughts on copyright, looking at the growth in infringements, new ways of discovering these, and how photographers can recover what is owed to them. David will outline his recent court case establishing that the belief of innocence is no defence to a copyright infringement claim. What will be the role of the forthcoming UK small claims court for intellectual property, and why does the Intellectual Property Office think that the court will only handle 150 cases per year? Please come with your experiences and ideas on this subject. 17:00: The ethics of press and public photography, with particular reference to the implications of the Leveson Inquiry. At what stage does photography become harassment? Should there be controls? More broadly, where is the press heading in its use of photography? Should the press, citizen journalists, and members of the public all be treated the same or differently, whether in general or at newsworthy events? This panel discussion features a range of points of view – that of a photographer who gave evidence at the Leveson Enquiry, a leading picture editor and a champion of citizen photography. 09:00 onwards: Registration in Portico Room / Photographer’s Lounge, Somerset House. 10:00 to 10:45 (Strand Palace Hotel): Keynote – Peter Kennard, the UK’s most influential photomontage artist, talks on his life and career. 11:15 to 12:15 (Somerset House): In conversation: critical to commercial. What compromises are made when photographers articulate their critical approaches and aesthetic styles into commercial vernaculars? While it’s not unusual for clients to take the best artistic imagery and then shape it for their own ends, it’s more interesting and arguably less of a compromise when photographers take the initiative, often by working more closely with appropriate clients. In this open-ended session the photographic artists David Mooreand Ewen Spencer explore these issues in relation to their own and others’ work. Introduced by Dewi Lewis, publisher. 14:00: (Strand Palace Hotel): Collaborations, whether between organisations or individuals, can generate new thinking, save on resources and increase profile. But they often don’t seem to go as smoothly as they might, and both people and organisations are protective of their own ideas and projects. At the organisational level in photography, is there more we could do together on collaborative ventures? Between individuals, how can we encourage more collective and collaborative work – perhaps across disciplines or professions – or can it be counter-productive for photographers to work this way? Each member of this panel has a special interest in collaboration in their work. Chaired by Anne McNeill, Director, Impressions Gallery, Bradford. 14:00 (Somerset House): Women in Photojournalism. While women outnumber men on photography courses, the opposite is still true in many areas of photography; none more so than photojournalism, news and editorial photography. What are the reasons for this? Is there a “boys’ club” mentality among some photographers, pressure or pigeonholing from the picture desks and commissioners, or are there reasons why women are less interested in certain areas of work? What advantages do women photojournalists have over their male counterparts? And how does the UK compare with other areas? Accomplished photojournalists will talk briefly about their own work, and discuss this area: the freelance photojournalist Laura El-Tantawy, Reuters staff photographer Suzanne Plunkett; Chaired by Carmen Valino, photographer. 16:15 (Strand Palace) Photography Question Time: the format is familiar from the BBC, but the subject matter is all photography; this is a chance to put your questions to a panel of the most interesting and influential people in photography. In your pack you’ll find a question slip. Please fill it in with any questions you would like to put to the panel and hand it back to the registration desk by 15:45 on Saturday. 18:15 (Strand Palace): WPO session – tickets must be booked separately. In the Photographer’s Studio with William Klein and Vanessa Winship. 10:30 Informal gallery visits. Details to follow.